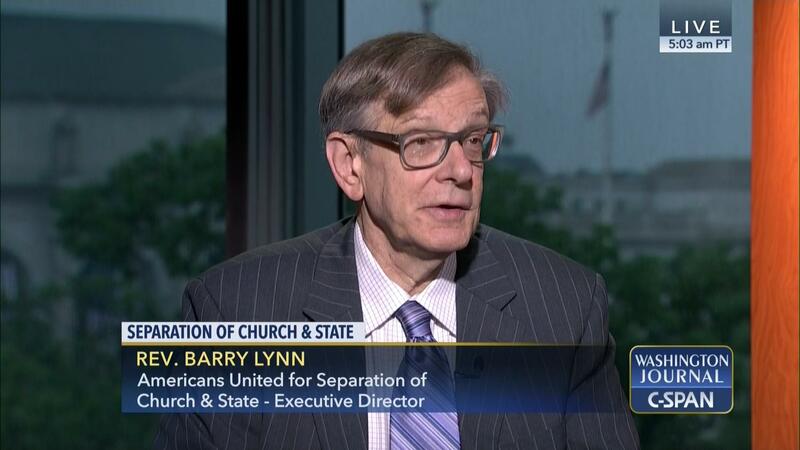 Reverend Barry W. Lynn is also a lawyer. The Rev. Barry W. Lynn and David engage in a heated debate on whether or not to bring back the draft. From 1992 until his retirement in 2017, the Rev. Barry W. Lynn served as executive director of Americans United for Separation of Church and State.